Asmara Polcyn of The Winnipeg Wolf Pack will be presenting at DREAM’s Manitoba Canine Expo on setting up your foster dog for success at adoption events. We all know how important the first impression can be; Asmara will demonstrate how you can help your foster dog shine. Asmara is a student at the Jean Donaldson Academy of Dog Trainers, traveling internationally to keep up with the latest in positive dog training and animal learning. Asmara also teaches a drop-in Dog Cognition class for all dogs at Ruffhouse Boarding Kennels. Her true joy: Dog Language! Asmara owns four of her own dogs: Becca, Gallahan, Cody and Tia, and fosters occasionally for local rescues and shelters. 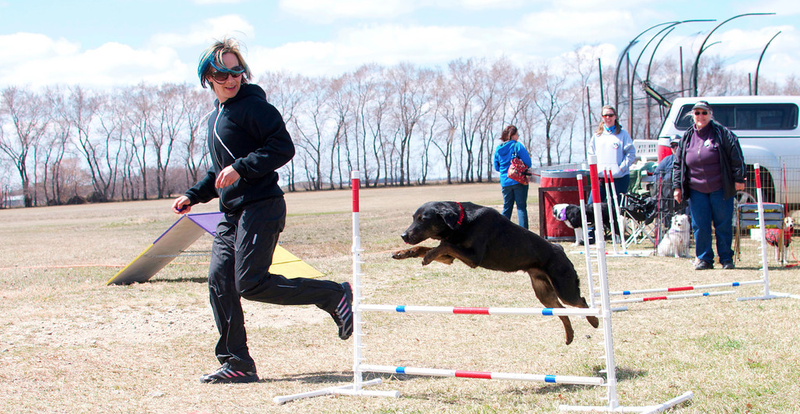 Four years back, she dog sat a couple of Schutzhund trained dogs, and since then, positive dog training and dog language has been her passion. Follow The Winnipeg Woof Pack on Facebook for regular positive dog training tips/videos and great dog-related news! Also check out Asmara’s YouTube Channel for great videos. Visit DREAM in the City: Manitoba Canine Expo on Saturday, June 22nd from 11:00am to 4:00pm, located at Four Points Sheraton South (2935 Pembina Hwy), where Asmara will be among four keynote speakers! More information at www.dreamrescue.ca.